I was 29 years old when I was diagnosed with rheumatoid arthritis. Until this moment, I have been on the most known medicines for my condition. Those medicine are believed to be the most powerful and the most helpful (it includes remicade, humira, enbrel and many many pills for this). now, I am on Orencia for a couple of months, less than 6 months ago. So far, this medicine is keeping me away from having those hellish flare ups that used to make me wish about having my extremities to be cut once and forever. It was extremely bad and painful. These pains started as soon as the other medicines stopped to work. I started to have suicidal thoughts in order to escape the pain, as I have noticed in all these years, nobody really understands the pain from RA… Well, so far, Orencia is a good medication, I don’t have any side effects and it is controlling the pains making me wanna live, however, so did all the other medications for a period of time. I pray God that this medication won’t stop working and it continues to be effective in future. Until now, I’m feeling great thanks to it! I’ve switched to this medicine some months ago and so far I have had eleven Orencia injections now. I’ve found out that this medicine is veeeery beneficial for me and my rheumatoid arthritis. In all these days, overall I’ve noticed an essential improvement for this condition and I’m very and very glad about that. I have exactly the same situation as the previous poster mentioned, I mean that I’ve also noticed that one infusion is working up until the last few days until I need to have the next one and I start to experience increase in swelling, aching, pains and so on but as soon as I take the next one, I’m fine. It doesn’t matter what others believe about this drug (because I’ve seen some bad reviews about it) it is an extremely effective drug compared to others. I have one little side effect I don’t really know what should I do about it but even if it won’t disappear it’s not a big problem: I have overall feeling of tiredness about in the 3rd day after I had the injection. It starts few hours after I wake up (in the 3rd day) and then it disappears in the evening or so. After this tiredness passes, I’m feeling completely fine and I can carry on with my normal daily activities as always. 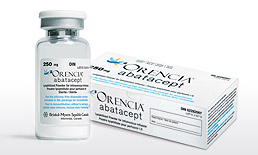 I recommend Orencia as a treatment for Rheumatoid arthritis! I suffer from Rheumatoid Arthritis for few years. In all these years I have taken more than 5 different drugs including Orencia on which I’m now. My doctor prescribed this drug a couple of months ago and honestly it works much better for my Rheumatoid Arthritis than the other ones. Since I’m taking Orencia I was finally able to notice a significant improvement for this condition. Yes, maybe I had little improvements with other drugs as well, but not as good as with this one! And Orencia’s effectiveness was noticed much faster comparing to those drugs. I’m very pleased how it works: I can finally sleep well during the night! Prior to take this drug I was waking up in the morning feeling very tired, my body was all aching and stiff and I had an overall feeling of sickness. Now, all these unpleasant symptoms are gone! Now I am in power of doing simple things that I could not do them before: to open a jar or something like that. I can have little symptoms back again for about a day, prior to the day my next treatment is scheduled, such as little aches or some little stiffness. Also, I can experience some tiredness waking up in the morning when my treatment is scheduled. Anyhow, other than this I don’t have. I mean no side effects or something like that. Moreover, I think it’s normal for me to have minor symptoms described up there because the drug effectiveness is lowering over time, but as soon as I have the next treatment I’m all 100% fine again! I would say that it is not perfect but it’s about 90% out of 100%!